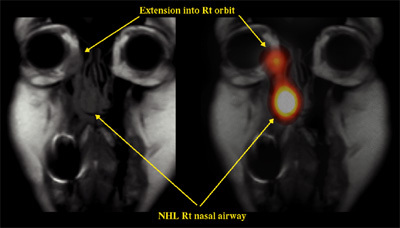 From its inception in the late 1970s, PET (Positron Emission Tomography) has been recognized as an important tool in the ongoing development of diagnostic imaging. Geodax Imaging currently operates in partnership with multiple imaging facilities providing Fused PET studies. PET images give clinicians important information regarding the metabolic activity of suspicious tissue. A PET study fused with CT or MRI overlays the anatomical structure needed in 3-D for precise treatment planning. Our fused PET studies improve accuracy of lesion detection and status. Our centers have flexible operating hours , specialize in navigating insurance claims, and provide post procedure reports within 24-48 hours turnaround service. Patients and providers can reduce anxiety and improve treatment planning by establishing fixed site imaging with on demand scheduling. ©2003-2005 Geodax Imaging, LLC, All Rights Reserved. This site developed and hosted by Sage Island.